1/2 lb. 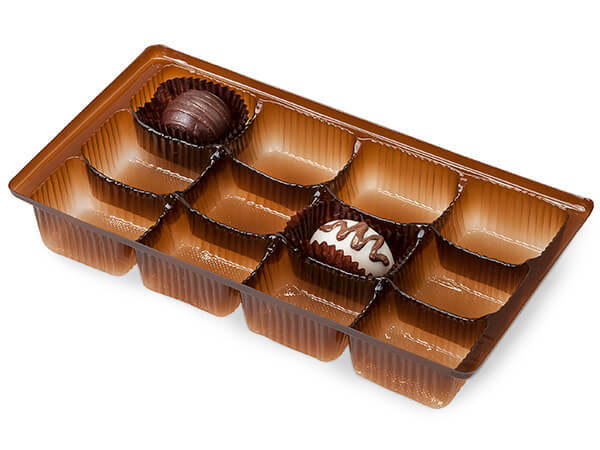 8 x 4-1/4 x 1" Medium Rectangle Chocolate Candy Trays by the carton can be used with our candy cups and pads for easy, stackable layers in our candy and gourmet boxes. Fits our 1/2 lb. Single Layer Ballotin Candy Boxes. Trays have 12 sections. Complies with FDA regulations for food packaging.